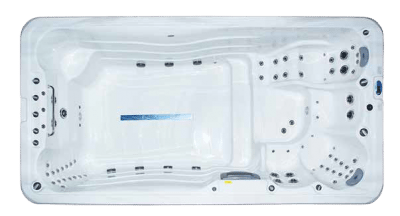 The all new Aqua Swim 4 Series Swim Spa is a luxury swim spa, plunge pool, hydrotherapy spa and exercise centre featuring stand up massage wall, full body massage recliner, 3 seats and swim/exercise area in one compact unit. 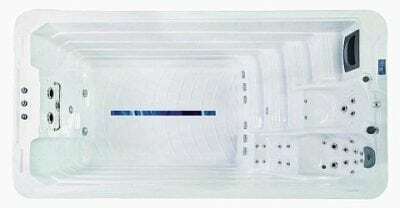 The AquaSwim 4.4 Deepwell Swim Spa gives the feel of a small backyard pool with extra depth for the taller person and powerful pro or extreme swim systems fitted for the ideal swim or exercise experience. It includes 2 seats and 25 massage jets. 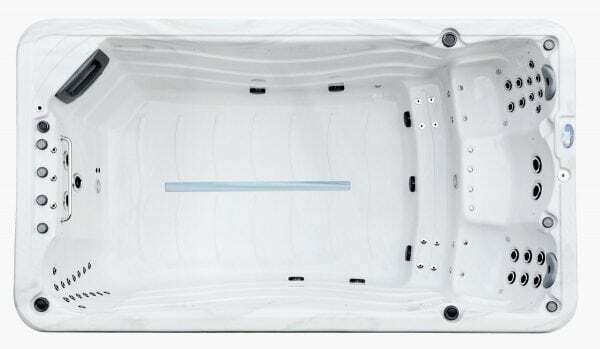 The Pacific Series Duo Extra Depth swim spa gives you more….more depth for taller people, more seating for bigger families or better entertaining and more jets for an even more luxurious massage experience. It includes 49 massage jets. The all new Aqua Swim 4.4 Series swim spa now features the Aqua Lift Swim System, stand-up massage wall with 16 accu-pressure jets, full-body massage lounge, 3 hydrotherapy seats and a cool off chair.